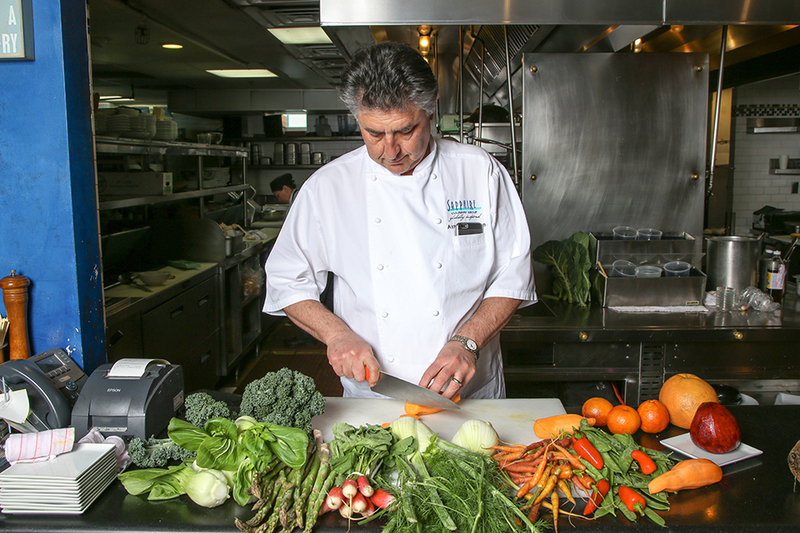 Sapphire Laguna chef-owner Azmin Ghahreman cooks with a variety of fresh, colorful produce. While Brussels sprouts may make others cringe, they’re a favorite for clinical nutritionist Gini Warner. To her, the vegetable—in season locally through early spring—complements any meal and pairs well with wholesome ingredients like tomatoes or lentils for a colorful main entree, plus they’re high in nutrients such as vitamin C, vitamin K and potassium. 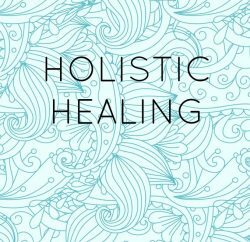 The longtime Laguna Beach resident and founder of nutritional counseling service Health by Gini is just one of many health professionals who stress the importance of eating fresh, seasonal produce of different hues. “The most important thing is to have a wide variety of fruits and vegetables and to vary what you eat daily,” Gini says. In Southern California, we have convenient access to produce year-round, but the key is taking advantage when it’s in season. According to Cleveland Clinic, fruits and vegetables picked at their peak typically offer more vitamins, minerals and antioxidants than those that were harvested prematurely and then transported across long distances. For Lagunans, the farmers market brings fresh varieties of spring produce—all of which offer unique combinations of nutritional benefits—each week. In addition to green, other colors to incorporate include red and orange: Fruits and vegetables featuring those hues typically receive their color from powerful antioxidants like lycopene, proven to boost the immune system and reduce the risk of cancer and heart disease, as well as carotenoids, known for promoting healthy eyes and mitigating cell damage. With that in mind, here are a few suggested shades to keep in the mix when cooking at home or dining out this season. Cook or consume rhubarb and strawberries. A perennial vegetable native to Asia, rhubarb is full of calcium, vitamin K and fiber. It has also been said to relieve digestive problems when consumed. On the other hand, strawberries typically peak from March through July and have antioxidants and vitamin C, which are beneficial for the cardiovascular system and reduce inflammation. These heart-shaped fruits are also considered to be an excellent source of potassium and manganese. Sapphire Laguna chef-owner Azmin Ghahreman recommends blending fresh strawberries with yogurt and a hint of honey for a refreshing morning drink. He also advises peeling rhubarb and cooking it in water with a bit of butter and lemon; it can also be braised and eaten as a side dish, or combined with fresh herbs like chopped parsley. On the sweeter side, rhubarb can star in strawberry rhubarb pie or a strawberry rhubarb compote (peeled, poached in apple juice with a hint of honey, then kept cold in the refrigerator). For your red fruit and vegetable fix, Active Culture offers a variety of dishes and drinks that utilize organic ingredients and fresh fruits. 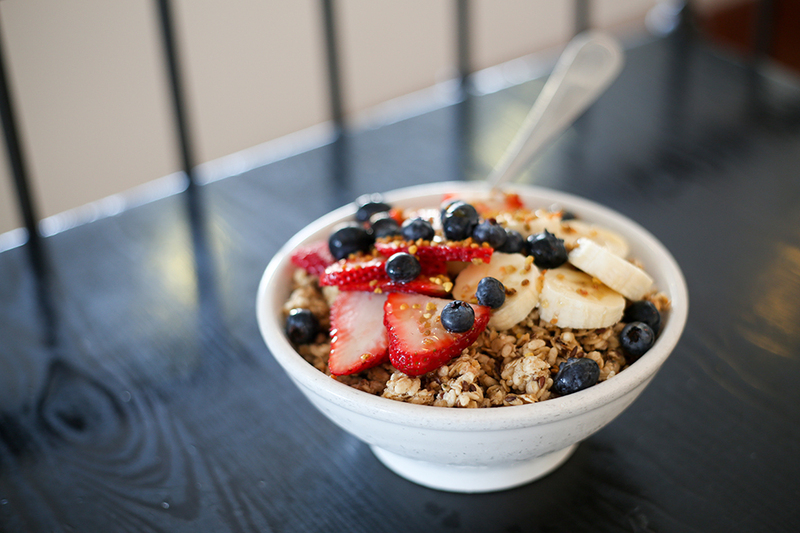 For a breakfast option, try the classic acai bowl, which features strawberries along with organic acai, bananas and apple juice topped with organic granola, bananas and honey. To quench your thirst, order the Strawberry State-Of-Mind shake for a blend of strawberries, bananas, organic vanilla, and Active’s homemade raw and organic almond milk. Try to use ingredients such as asparagus, broccoli, cabbage, collard greens and spinach. Heartier than kale, collard greens are a significant calcium source.There are also plenty of green herbs, such as mint and parsley, that have health benefits and add another layer of flavor to dishes. According to the United Kingdom’s National Health Service, broccoli contains vitamin C and folate. In addition, a World Cancer Research Fund study found that eating more nonstarchy vegetables like broccoli correlated to a reduced risk of some cancers. 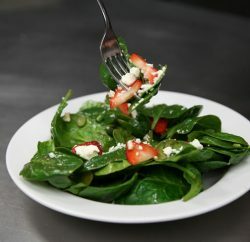 Salads are a refreshing way to incorporate more green vegetables into your diet—spinach is one of the most popular options, and contains antioxidants and vitamins including A, B and C. When preparing a salad featuring it as a base, Azmin likes to include a strawberry vinaigrette with balsamic vinegar, olive oil, shallots, salt and pepper. For collard greens, Azmin recommends braising them with water and chicken stock, while herbs such as mint and parsley can be added into a tabouli, lentil or beet salad. 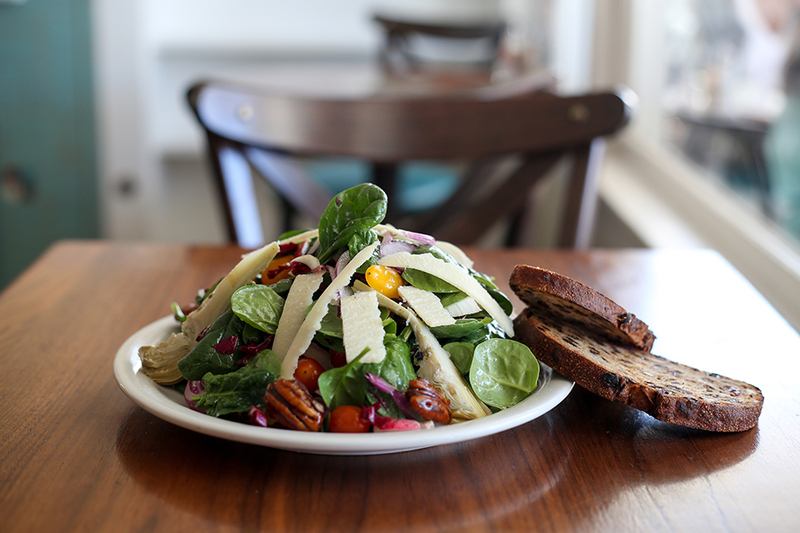 Urth Caffé offers a number of salads, including the Urth Farmer’s Salad that has locally grown baby spinach, a peppercorn dressing, tomatoes, red onion and shaved fennel. The company, which opened its Laguna Beach eatery last year, focuses on serving high-quality, all-natural ingredients. For dishes with Latin American flavor, Maro Wood Grill offers Argentinian cuisine with locally sourced produce. Take a bite of the spinach empanada, which includes organic spinach, sweet onions, feta and pepper jack cheese. Use carrots, oranges and sweet potatoes. Carrots, high in beta-carotene and alkaline elements, benefit the skin and eyes. A natural chemical, beta-carotene is transformed into vitamin A by the body upon consumption. From the fruit to juices, fresh oranges are a source of vitamin C, which may reportedly alleviate asthma due to its antioxidant properties. Finally, sweet potatoes are among the most nutritious vegetables, and can provide the benefit of minerals such as potassium and calcium. For Azmin, one of the easiest ways to prepare carrots is to shred them into juice form and mix in ginger, which has phenolic compounds known to help digestion. Carrots can also be a great topping for a salad with a lemon-and-olive-oil dressing. On the other hand, sweet potatoes can be roasted with salt and pepper for a simple yet nutritious dish that is both sweet and savory. Oranges can be consumed year-round as either a healthy snack or, like carrots, used in a fresh-pressed juice. Project Juice’s outpost in Laguna Beach offers a carrot and orange blend. According to the company, benefits include increased energy levels and heightened immunity. Another option can be found at Nirvana Grille, which features fresh, seasonal dishes incorporating fare sourced from local growers. 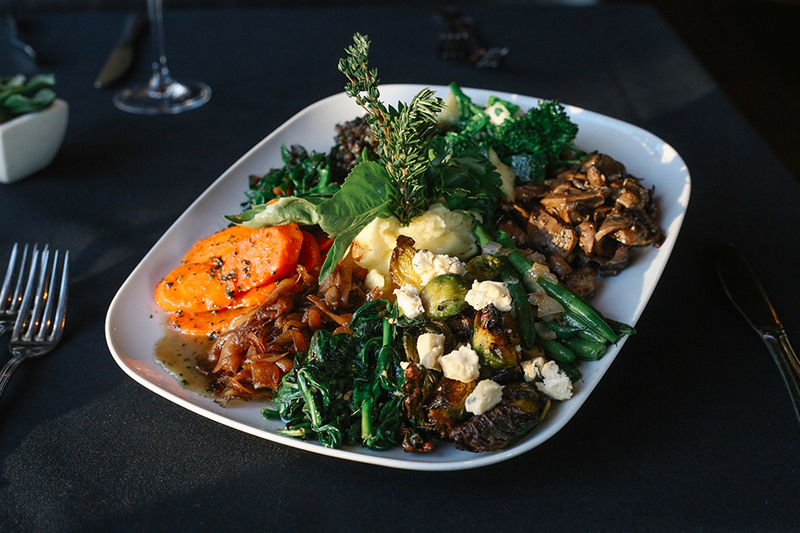 The restaurant’s vegetable plate includes a wide variety of fresh produce including glazed carrots, balsamic caramelized onions and roasted Brussels sprouts with cambozola. Love the idea behind this article, but if you are going to interview local nutrition experts, would it be possible to find a few with at least a minimum of a BS degree in nutrition? You owe it to your readers to report evidence-based nutrition information. Would you take the advice of a physician without a medical degree or a mechanic that didn’t go to mechanic’s school?